A fully automatic battery charger conditioner and maintainer suitable for charging 12v batteries in cars motorcycles quad-bikes and jet-skis up to 50Ah capacity and also suitable for maintaining batteries up to 70Ah capacity. 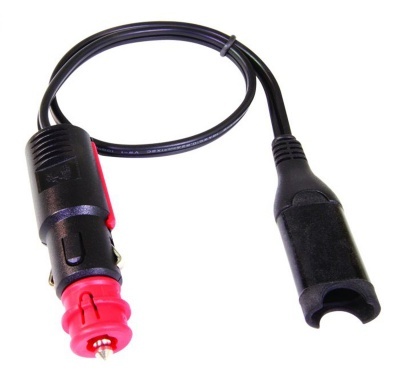 Also fully compatible with BMW motorcycles with CAN-BUS electronics so the battery can be charged through the bikes accessory socket. OptiMate 4D is completely automatic and comes with an easy connection system included so all you need to do is connect it up and let the OptiMate do the rest. It is 100% safe and uses only a tiny amount of power to make sure that your battery is in the best possible condition at all times. 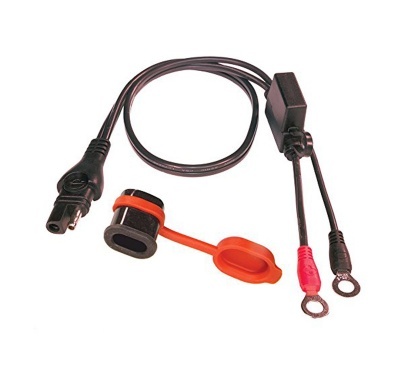 OptiMate 4D charger with UK mains plug. 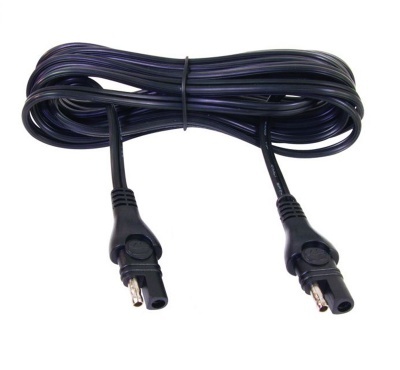 Waterproof connection lead for permanent installation. Crocodile clip set for temporary connection. 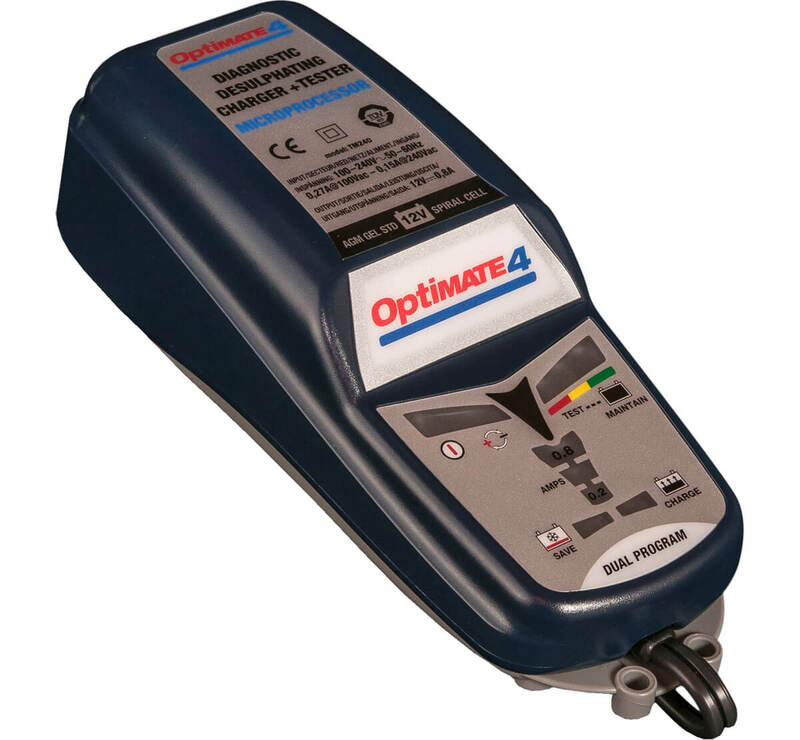 When the OptiMate is connected to a battery it automatically switches on and analyses the condition of the battery. 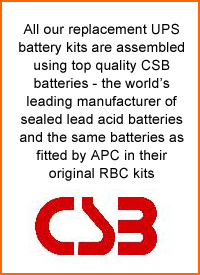 If the battery is weak sulphated or has a very high internal resistance a recovery mode is activated which attempts to restore the battery to a usable condition. 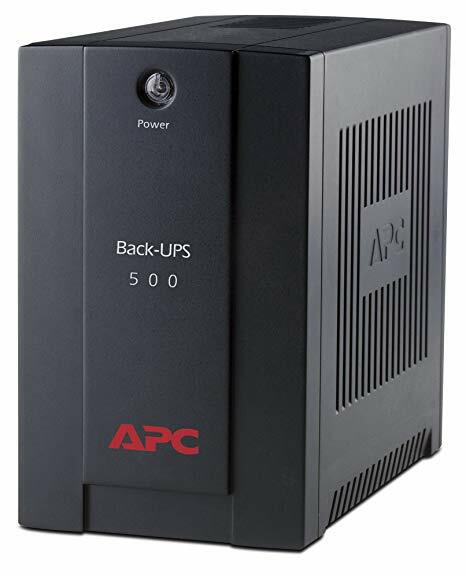 When the battery is ready to be charged the main or Bulk charge phase then charges the battery at a constant current until the battery is close to full charge. To complete the charging process the charging voltage is then kept at a constant level for a final or absorbtion charge during which the charging current gradually diminishes as the battery slowly reaches its maximum charge level. 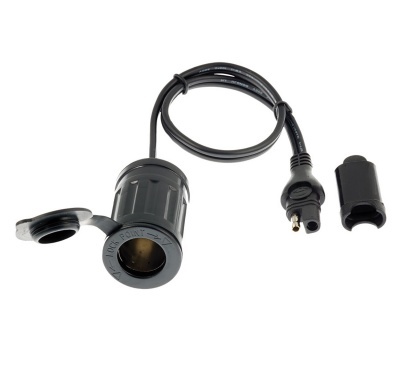 Once the battery is fully charged the OptiMate then checks that the battery will hold its charge sufficiently before indicating a green light which means that the battery is fully charged and ready for use. A regular sequence of tests are then repeated at hourly intervals during which the green light flashes. If during a test sequence a small loss of charge is detected then the OptiMate will charge the battery again for a short time until the green light comes on again. If at any time during connection the batterys condition drops below the level required for reliable use then an orange light may show to indicate that the battery is weak but usable or a red light may show to indicate that the battery might need replacing should be checked by a specialist.